Your chance to highlight the campaigns and communicators that push nonprofit missions forward. Did you work on an extraordinary campaign for a nonprofit organization? 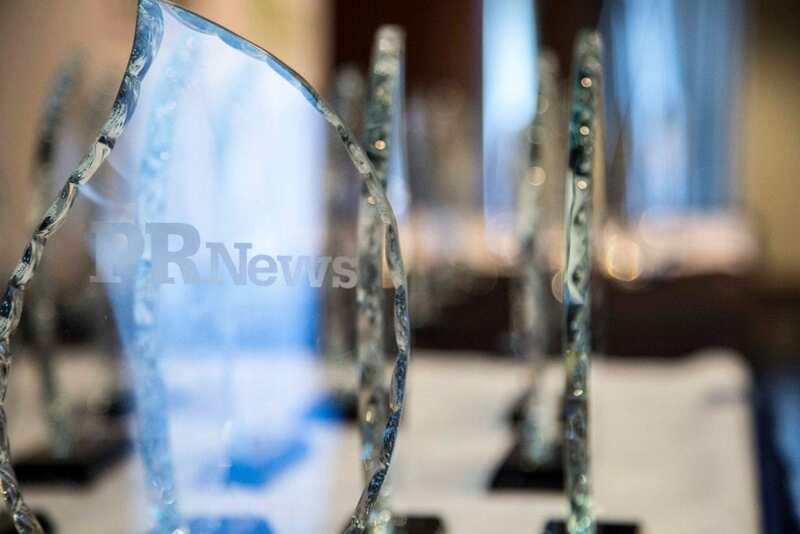 PR News’ Nonprofit PR Awards program is dedicated to honoring the most talented communicators and teams in the nonprofit sector. We’re not looking for the campaigns or initiatives that are just “good” or “make budget.” We’re looking for the best, the most innovative programs—those that exceed expectations. So show us what you’ve done and get recognized for all your hard work. The Nonprofit PR Awards are presented by the leading industry publication PR News and are judged by a blue-chip panel of communications experts. Finalists of the Nonprofit Awards will be celebrated at the CSR and Nonprofit Awards Luncheon in March 15, 2019 in Washington, D.C. Winners will be announced at the CSR and Nonprofit Awards Luncheon on March 15, 2019 in Washington, D.C.
Submissions will be judged on design and content, and success at connecting with a target audience and producing desired results. Recognizing an outstanding, influential business-related blog or online journal written by a representative of an organization with the goal of espousing a cause or a certain message. The blog should be written with flair and personality. Entries should clearly state the goals of the branding/re-branding and show measurable results proving that these efforts resulted in more donations or increased corporate involvement or more community/employee involvement, etc. Recognizing outstanding alliance/s with a corporate entity in the past 12 months, with an eye toward exceeding the stated mission of the partnership. Note: It is recommended that you enter partnerships separately, not as a single entry. Communications surrounding any crisis, from an industry crisis to internal executive malfeasance, are eligible in this category. The winner of this category will have shown outstanding use of digital media to communicate messages. This can include a marketing campaign on your Web site or a partner’s; outstanding e-mail communications and other capitalization of digital media for PR/marketing. Entries should demonstrate consistent delivery of varied content relevant to target audience; engaging design; superior open and click-through rates. Recognizing outstanding internal PR efforts at nonprofits/associations, including employee communications campaigns and ongoing initiatives to motivate, inspire and retain employees. Entries should include PR conducted at an industry, association or other event/conference, or a series of events conceived and implemented by your organization (for instance, awareness of an issue). Note: this can include the entering nonprofit’s annual conference, for example, of public relations efforts at an industry event. This category recognizes an external publication produced by or for a nonprofit. The publication can be a one-time effort or an ongoing publication. Recognizing outstanding communications surrounding a single or ongoing drive to raise funds or increase membership. Must demonstrate the role of PR in the outcomes. Entries will be judged on originality of green PR/marketing initiative, how closely aligned it is with an organization's overall goals and measurable, desired results. This category recognizes an internal publication produced by or for a nonprofit. The publication can be a one-time effort or an ongoing publication. Recognizes proven success with PR and marketing techniques for a nonprofit organization – judges will look closely at how well you integrated PR and marketing into your communications plan in general or for a specific campaign. Recognizes outstanding strategies and outcomes with either a singular media relations campaign surrounding an issue or a proven media relations strategy whose outcome improved the nonprofit’s standing among its stakeholders. This category salutes outstanding public relations efforts targeted at an association’s membership year-round or for a particular campaign. Entries will be judged on the breadth of cross-platform communications, timing of communications, success at reaching the desired audience, overall usefulness of communications and feedback from target audience. Recognizing outstanding examples of a nonprofit achieving success with limited funds/budget, whether it’s for a single campaign or ongoing PR/public affairs. While “shoestring” is subjective, the winners in this category are those who have done more with less, and have been creative with the limited PR dollars they have. Recognizes one or multiple press releases for writing quality and achievement of desired results: i.e., hits to Web site; responses to a call for action; inbound inquiries stemming from the release, etc. Recognizes successful results of using merchandise to promote the aims of a nonprofit organization or initiative. This category recognizes effective television, print, online and radio PSAs for a nonprofit, or produced by a nonprofit. PSA must have run in the past 12 months. Recognizes successful promotion of a cause or social issue via public sector organizations and political channels. This category recognizes campaigns that connect people and allow them to be integrated into a product or company. Social media campaigns can include communications campaigns on Facebook, Twitter, Instagram, Snapchat, LinkedIn or Google+; Internet forums; message boards or blogs. This category recognizes a particular campaign in which the association's initiatives/brand is aligned with a cause. Entries in this category should focus on the PR efforts surrounding a podcast and/or videocast, whether in the consumer or business-to-business arena. Either a new or ongoing volunteer program from an organization (corporate or nonprofit); entries should be clear in stated aim of the program and in the number of volunteers involved, as well as results of volunteer efforts. Recognizing outstanding Web sites among nonprofits, from a design, communications and navigation standpoint. Entrants must demonstrate the Web site’s effectiveness in building membership, raising issue awareness and the ways that PR has played a role in the site’s success. We will bestow several awards in this category based on job title and experience. Communications teams that will be considered for the Team of the Year award will be those that have had clearly stated goals for the year (increase in donations, members, awareness, legislative action, etc. ), formulated a strategy and successfully executed that strategy. Results should be measurable and listed in detail. Include names and roles of all team members, and demonstrate how the team worked together to achieve stated goals. All entries must be submitted by November 16, 2018. Finalists will be notified in January 2019 and honored during an awards ceremony in March 2019. The PR News Nonprofit Awards are open to all agency, corporation, nonprofit/association, and government organizations. To be eligible, the campaigns or PR initiatives you are highlighting must have taken place (either in part or in full) between November 1, 2017, and November 31, 2018. Some of the work must have occurred during this time, but it's not necessary for it to be completed during the eligibility period. The price of each primary entry is $425. If you are submitting a secondary entry of the same campaign into any additional categories, the price will be $275 for each additional category. Late entry surcharge of $275 per entry for entries submitted between November 9-16, 2018. What do I need to compile an entry? You can preview the submission form here. Can I enter the same campaign in different categories? Yes! You can enter the same campaign in multiple categories and will save $150 on each additional entry. Entries are judged by a blue-chip panel of corporate, agency, nonprofit and academic executives, as well as by the staff of PR News. We evaluate your entry based on creativity, innovation, sound planning implementation and results. Our most important criterion is proven success in aligning your strategic objectives with you end goals. The winners will receive their award during a luncheon on in March 20, 2018 in Washington D.C.
Must we include our campaign budget? It’s not a requirement, but it helps the judges to better compare your campaign against other entries. Include at least a reasonable budget range. The judges always take into account the campaign budget relative to the goals and outcome. All information is confidential and will not be published.